If you know your student can be distracted when they site near a window or door, move their seat to a different location. 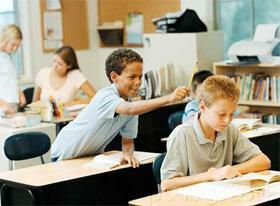 It might be helpful to sit your student with ADHD/ADD in front of your desk to help them focus. It is also useful if you arrange your classroom seating in rows instead of sitting around tables or facing one another. Provide clear and concise instructions. Give instructions one at a time. If the instructions are complex, break it down into smaller parts. Also, you can have several other students repeat your instructions to give the student with ADHD/ADD the opportunity to hear it. Make sure that the assignment is not too long or too difficult because they might avoid doing it. It is best if you partner up with their parents to make sure that their child is ready to learn in the classroom. Ask parents to communication with you regularly about the problems their child experiences in school. Have the parents help their child organize their papers or homework during the evening and help them prepare for school next day. If you have a student that has ADHD/ADD in your class, let us know how you help them!